The Cruise Lite travel trailer, part of Forest River’s Salem line, is a great way to introduce your family to the RV lifestyle. Winner of the 2016 Trailer Life Reader’s Choice Award, these trailers are full of great features that are usually only found in travel trailers at higher prices. The Cruise Lite offers you quality and value. The lightweight chassis is an important feature of the Cruise Lite – the lighter weight means better fuel economy and easier towing. However, Forest River didn’t sacrifice on style or amenities. The Cruise Lite is built for the first-time RV buyer. It’s a perfect fit for someone new to the RV lifestyle – easy towing, fun amenities like exterior speakers and the EZ Bed Lift System, and convenience features to make setup and stays a breeze for newcomers. 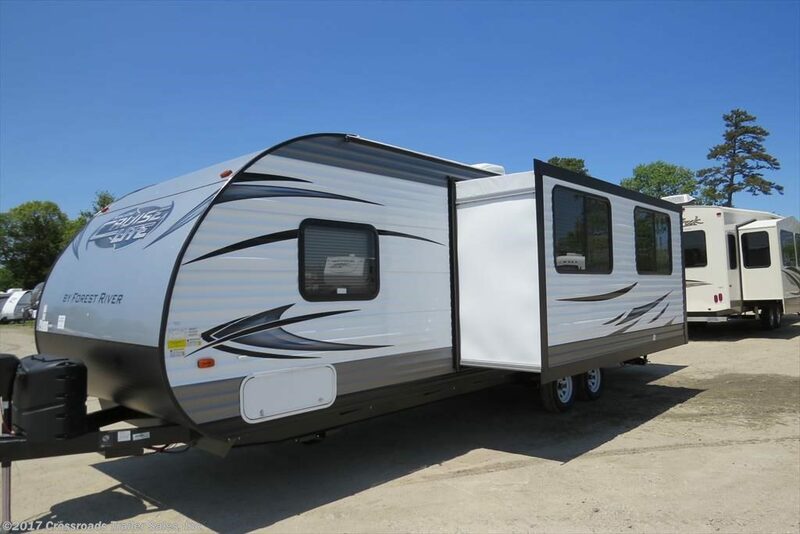 Check out the brand new Forest River Salem Cruise Lite travel trailers at our dealership today! This entry was posted in Featured Brand and tagged cruise lite, forest river, forest river salem, travel trailers by admin. Bookmark the permalink.